Bath time can be a frightening and overwhelming experience for a young pup. If it’s their first time, they won’t understand what water is or why they’re being made to stand in it. It can all be terribly new and scary! So it’s important you make bath time a calm and positive experience for your puppy. Your little one should be introduced to bathing at a young age so they can get used to the sounds and sensations. This will ensure they grow up to tolerate, or even love getting washed in the tub. 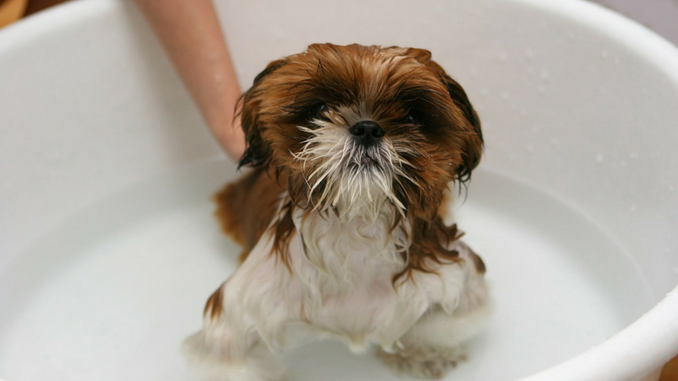 If a puppy has a negative experience, this can make bath time extremely stressful for everyone involved in the future. You could end up with an anxious dog who is simply unwilling to cooperate. And that’s why you need to tread carefully and offer plenty of reassurance along the way. 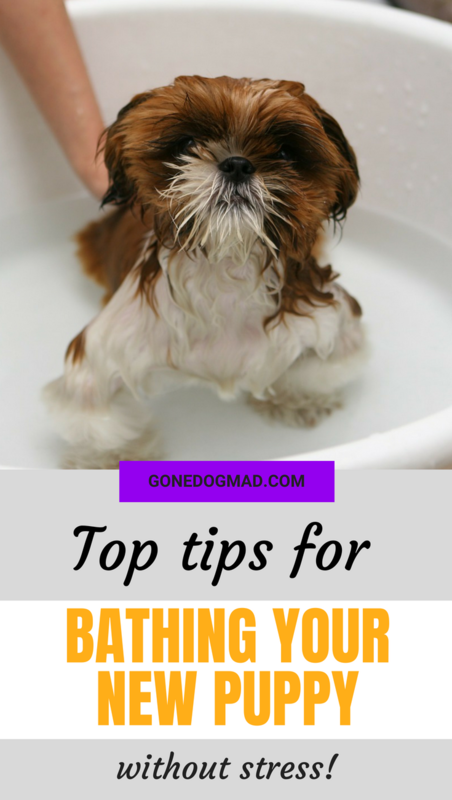 We all want bath time to be smooth sailing for both us and our pups, so follow my top tips for giving a puppy a bath without stress. 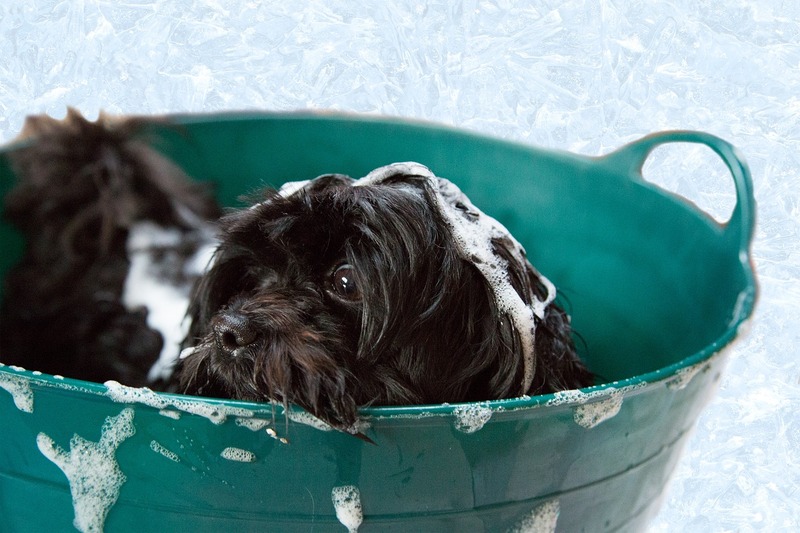 When should you bathe your new puppy? Technically, you can bathe your puppy the moment you bring them home at 8 weeks of age. But it’s a good idea to give them a chance to settle in first and wait until their second week in their new home. 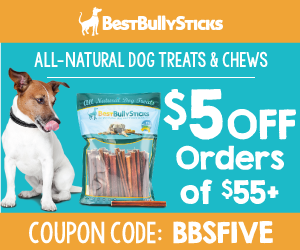 Your pooch will need time to adjust. You don’t want to add any further stress or upset while they’re finding their feet. Dogs don’t need bathing every day like us humans do. Their skin is different to our own – giving a puppy a bath too often can remove the natural oils from their skin and coat, leaving them with itchy or dry skin problems. A good rule of thumb is to bathe your puppy once every two weeks. But use common sense too. If they do get mucky or roll in something they shouldn’t, it’s fine if you need to pop them in the bath sooner. The key to a stress-free bath time is planning ahead. A tired puppy will be calmer and easier to handle when they need a wash. At 8 weeks of age your puppy won’t have had their full course of vaccinations and won’t be able to go out for a walk. 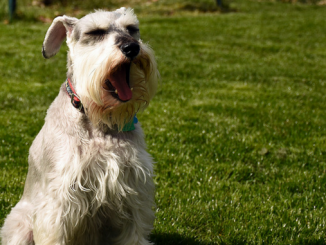 But there are plenty of other ways you can burn off energy, such as playing with a toy in the garden, training obedience like sit, stay, come, lie down, or teaching them to play fetch. Interact with your puppy for a quick 10 minutes beforehand so they feel more settled in the tub. Puppies have tiny bladders and can only hold it for short periods. You want your puppy to feel as comfortable as possible and avoid any accidents during bath time. (You don’t need me to tell you how messy that could get!) 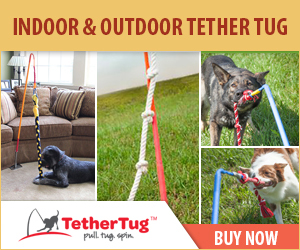 Give your puppy an opportunity to relieve themselves first. If you’re going through the toilet training process and your puppy won’t yet go on-demand, wait until they’re ready to go naturally. Then head straight to the bathroom when they’ve done their business. What kind of shampoo will you need? You will need a specific puppy shampoo to wash your pup. Never use human shampoo on your dog – their skin’s Ph is entirely different to our own and the acidity levels are too harsh on our pooches’ skin. Over time, this can leave them with dry and flaky skin and exposed to bacteria and viruses. Buy a shampoo made for puppies as this will have the right Ph balance and be kinder on your puppy’s young, sensitive skin. We use Groom Professional and can’t recommend it enough. It’s suitable for puppies of 8 weeks and will leave your pooch clean and smelling of baby powder for up to a week. If your dog has a medium-long coat, brush their coat free from mats and tangles before bath time. Knots get much worse when wet. Water causes mats to tighten which will make it much harder to brush next time around. For tips on how to get rid of tangles, check out my post ‘How to detangle matted dog hair‘. The first time bathing your puppy may not be a complete success in terms of getting your pooch clean. But don’t worry, it can be a process. The most important thing to remember is making bath time an enjoyable experience for pup. If that means you only get half of their body wet the first time, so be it. If your puppy is visibly shaking and anxious, don’t force them to endure it. That fear may carry through to adulthood and make things difficult every bath time. Take things slowly and reassure pup as you let them explore the wet stuff. If it all gets too much, take them out and try again next time. You want to ensure your puppy associates bath time with positive things. Which means showering them with the things they love. 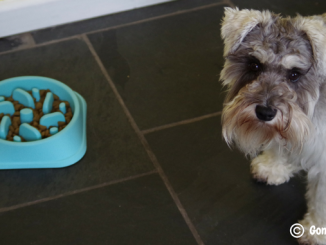 Keep treats and toys to hand and take opportunities to reward your puppy with a treat if they’re calm and still. This will begin to show them what you expect at bath time. If your puppy seems a little anxious, go slowly and make bath time fun by encouraging them to play with a favourite toy. Before putting your puppy into the bath, fill it with warm water to their knee height. Lower pup gently into the water and let them get used to this strange, new feeling. Then take a few minutes to let them sniff and walk around while speaking in a calm, reassuring voice. Add a few rubber toys to the tub and offer a treat every now and then to help build that positive association. When your puppy seems reasonably comfortable with their paws in the water, start introducing them to the sound and feel of the shower. Turn the shower on to its lowest pressure setting and ensure it’s just about warm. Start by pointing the shower head at your puppy’s legs and let them get used to the sensation. Don’t rush, take your time and move at a pace your puppy is comfortable with. 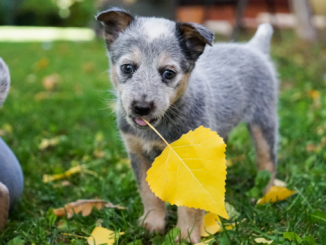 Puppies can quickly become anxious and stressed with unfamiliar sounds and sensations. If you’d rather, you could also use a cup to pour water over your puppy instead of using the shower. 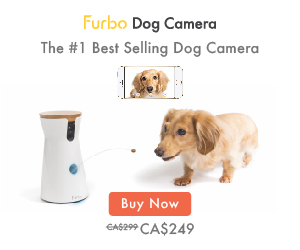 This may be a better option if your puppy seems particularly fearful of the shower head. If they’re moving around a lot, have a family member gently hold your puppy still while they offer treats. Don’t manhandle your puppy if they’re clearly in distress. If they’ll stay still with a little restraint you should be fine to continue. If your bath is slippery, you may want to add a non-slip mat to the bottom of the bath as you prepare the area. This will prevent your puppy slipping into the water and getting a fright! Slowly wet your dog’s fur from the paws up. Never spray the shower into your puppy’s face, this will likely startle pup and make them less keen on bath time going forwards. Gently tilt their head back and cover the eyes as you wet the top of the head. You can use a wet sponge or wash cloth to wet around the eyes and mouth. If you find yourself feeling stressed, take a few deep breaths. Never take out your frustrations on your puppy by yelling at them. This will only make them scared of you and they’ll learn to hate bath time. If they learn that bath time means you’ll shout, you’ll never have a calm and relaxed bathing session with your dog. It’ll become a negative experience they dread and hide from. 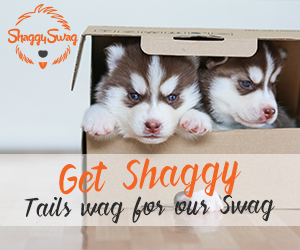 Use a marble-sized splodge of puppy shampoo and cover pup’s back, tummy, tail and private areas. Massage the shampoo gently into pup’s body, being careful to avoid the eyes and the inside of the ears. If you do get shampoo into pup’s eyes, wash it out with cool, clean water. Quickly offer a few treats as they may be a little unhappy about having water in their eye! After you’ve well and truly soaped your pup, ensure you rinse off all the suds. Any shampoo left on can cause dry, itchy skin, so it’s important you take a little time with this step. Move the fur around with your hand as you rinse. Shield your puppy’s eyes as you rinse the head, again being careful to avoid the ears. Let your puppy shake to get rid of excess water. You may like to wrap your puppy up in a big fluffy towel and rub them gently in your arms. You need to ensure your puppy is completely dry – if they’re left damp, this can lead to fungal infections or hot spots which can be painful and irritating to your pup’s skin. You can finish off with a hairdryer, but you need to be extremely careful. The hairdryer should always be moving so it’s not concentrated on the same spot which could burn your dog’s skin or cause overheating. And if your pooch is frightened of the hairdryer you may want to avoid it altogether. Your vet or groomer will have advice on the best methods for drying your puppy if the hairdryer is not an option. But if you want to try the hairdryer, set it to a low pressure, low temperature setting. As with the shower head, let your puppy get used to the sound first and offer treats. Keep the dryer moving at all times and keep a safe distance away from your pooch. (At least 30cm) Start with the legs and work your way up. Now you should have a gorgeous fluff ball ready to take on the world again. Shower your puppy with lots of praise and treats for a job well done. If you’ve made bath time a calm, positive experience they’ll slowly become more and more relaxed each time.